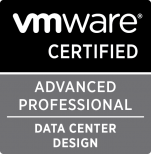 VMware KB: Implementing CA signed SSL certificates in vSphere 6.0. This is a big change from previous CA/PKI components provided from VMware. VMware KB: Best practices for configuring OSPF areas with VMware NSX for vSphere 6.x logical routers. Just putting this here for reference in my current SDDC project. The best practices described are essentially a common sense approach. VMware KB: Important information before upgrading to vSphere 6.0. Chock full of links to critical information for anyone considering an upgrade to vSphere 6. Updated today. VMware KB: NSX for vSphere 6.1.3 is compatible with vSphere 6.0, but new vSphere 6.0 features have not been tested with NSX. We have been waiting for this update to be released since it was mentioned at PEX in February. Now to get it into the lab! VMware KB: Reinstalling the VMware vRealize Automation Identity Appliance or vCenter Server SSO makes tenants inaccessible. VMware KB: Certificate Troubleshooting, Supportability, and Trust Requirements for vRealize Automation 6.2.